The National Renewable Energy Laboratory (NREL) promotes its research to "secure an energy future for the nation that is environmentally and economically sustainable." The website summaries the Laboratory's variety of research and technology including photovoltaics, wind, biomass, geothermal energy, and hydrogen and fuel cells. 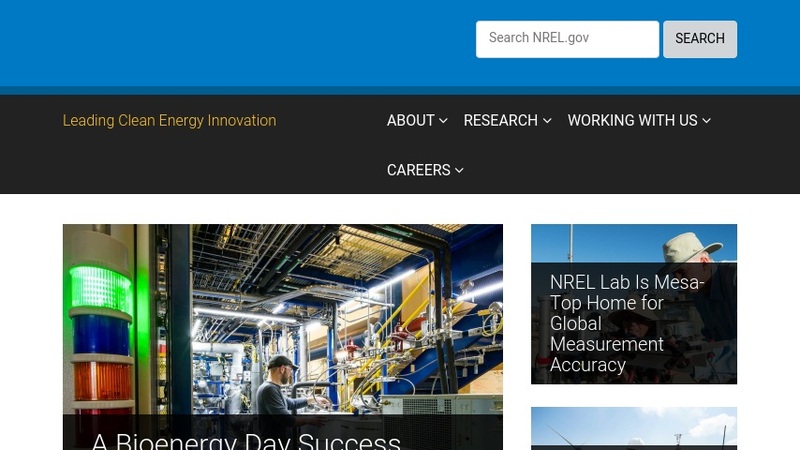 Visitors can find out the latest NREL news and events. Visitors can locate materials about renewable energy and energy efficiency. The Publications Database offers references to a wide range of documents about sustainable energy technologies written or edited by NREL.